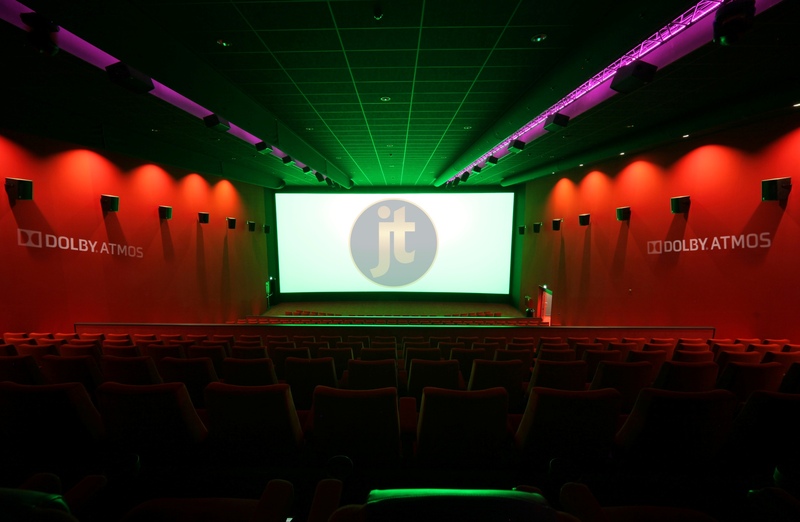 One of the longest-established cinema chains in the Netherlands, Vue Cinemas (formerJT cinemas) has spent the last few years investing in new sites and upgrading its existing venues to offer Dutch audiences the best possible experience. Working closely with leading cinema solutions provider dcinex, Vue has chosen Alcons Audio systems for the cutting edge Dolby Atmos® installation at its Kerkrade site. Vue distinguishes itself from its competitors by having the highest quality cinema technology in its venues. 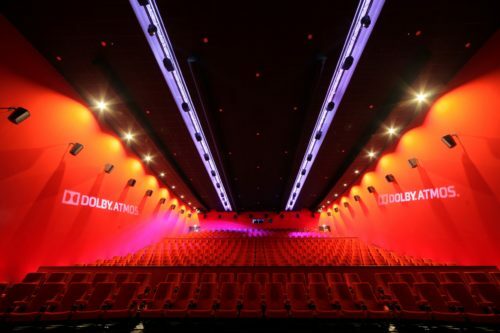 When Dolby approached dcinex to see if any of the company’s clients were interested in Dolby Atmos, JT was the obvious choice. Once JT was on board, Alcons pro-ribbon loudspeakers were the ideal choice to help deliver the required audio quality. “We believe that innovation drives cinema business and, of course, with digital technology there’s been a lot more innovation than before,” says Matthew Jones, dcinex General Manager BeNeLux. “One of Vue’s new build projects was a cinema in Kerkrade, where they wanted something really spectacular. They asked dcinex to find something that would be exceptional… not just good, not just high quality, but nearing absolute perfection. The amp racks with 19 Sentinels, totalling 76 audio channels. 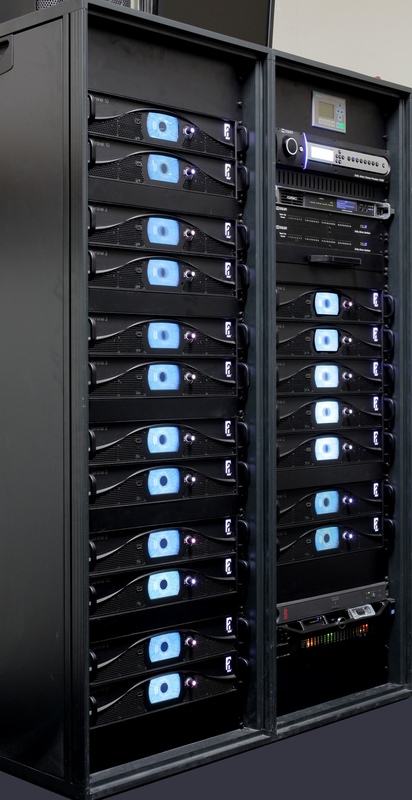 mounted them in bespoke, custom designed surrounds, creating the CRS12 and CRS12/60GT units. These were complemented with five three-way, tri-amped CR4 units and eight CB362 twin 18” subs to deliver a solution that was able to produce all of the required SPL, but from within normally-sized enclosures. Driven by 14 Sentinel3 and 5 Sentinel10 four channel Amplified Loudspeaker Controllers, totalling 76 amp.channels, the result was a system that would suit both the quality and aesthetic demands of Vue and the technical demands of Dolby.